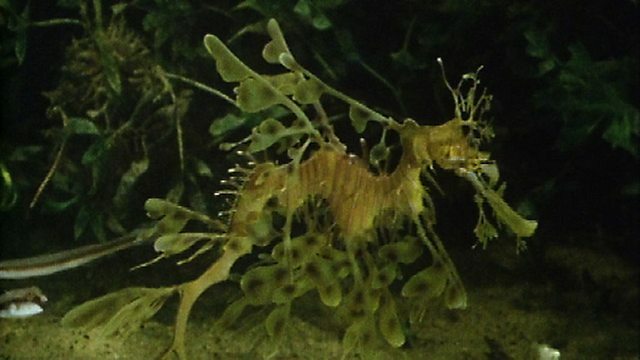 Kelp grows in coastal waters all around the world, but in the seaweed forest of southern Australia lives one of the most extravagantly camouflaged of all fish - the leafy sea dragon. A kind of seahorse, it is so well disguised that other fish swim amongst its finery as though it were some floating bit of seaweed. It has a tiny mouth with which it picks up small floating shrimp that take shelter in what appears to be just some floating weed.